Peel and dice potatoes. Cook in salted water until potatoes are soft. Meanwhile, in a small sauce pan heat milk and garlic until simmering. Drain potatoes, mash with milk mixture and parmesan. 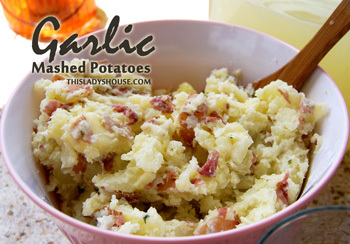 This entry was posted in Recipe and tagged Side dish.